PQube announced today that the acclaimed visual novel Steins;Gate will be headed to the U.S. on August 25th. 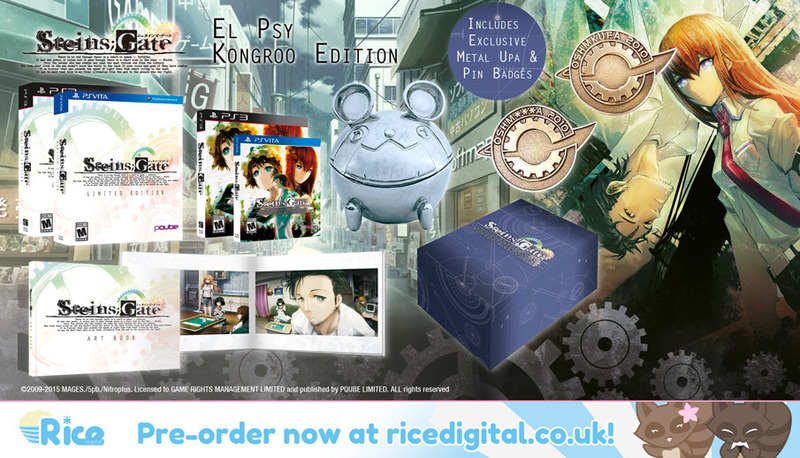 To celebrate the release, an “El Psy Kongroo Edition” is available for pre-order via Rice Digital. Check out the images and full press release below. PQube, Bristol (29th July 2015) – PQube are pleased to announce that MAGES., 5pb. and Science Adventure Team’s critically acclaimed STEINS;GATE for PlayStation 3 and PlayStation Vita systems, will release in the US on the 25th of August. North America will also receive the much sought-after ‘El Psy Kongroo Edition’ of STEINS;GATE. This edition is now available to pre-order exclusively via Rice Digital. 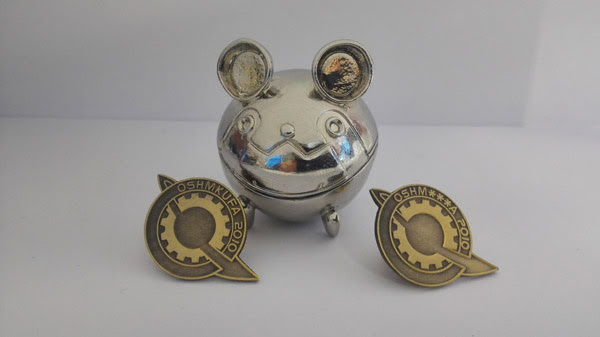 Double Pin Badge set for new Future Gadget Lab Members! Badge set and Metal Upa Presentation box. The STEINS;GATE El Psy Kongroo Edition can be pre-ordered from the Rice Digital Store (http://ricedigital.co.uk/store) for just $79.99 and INCLUDES FREE SHIPPING. STEINS;GATE is widely considered to be the greatest Visual Novel ever made. A critically acclaimed tale that follows a bunch of young misfits and scientists, whose ability to send text messages into the past sees world events spiral out of control. STEINS;GATE on PS3 and PS Vita will also be playable at the upcoming Anime Expo in Los Angeles on the 2nd – 5th of July 2015, alongside the opportunity to buy some exclusive STEINS;GATE merchandise.